1 Pair 9450S Propellers Carbon Fiber Props CW CCW for RC Drone Quadcopter by uptogethertek at Open Drone. Hurry! Limited time offer. Offer valid only while supplies last. Compatible with dji phantom 4 rc quadcopter - carbon fiber material, more strong, ensures flexibility and wing stability - cw ccw self-closing rotor blades for phantom 4 - replacement for phantom 4 blades - easily connect and connect the sheets as needed for flying or transport - material: carbon fiber. Quantity: 1 pairs with bases - base model: aa3276 size chart: diameter and screw pitch: approx. 9. 44 x 5inch. 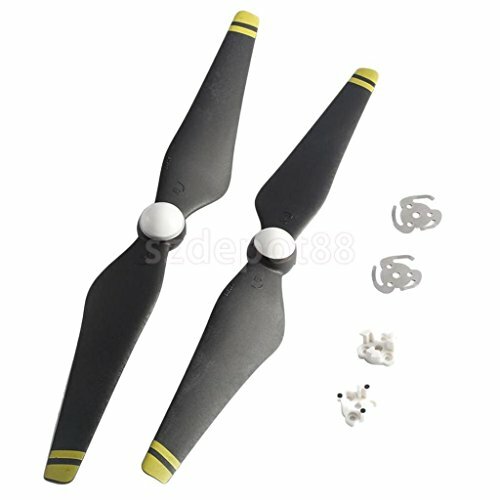 Package includes: 1 pair carbon fiber propeller 1 set base accessories.